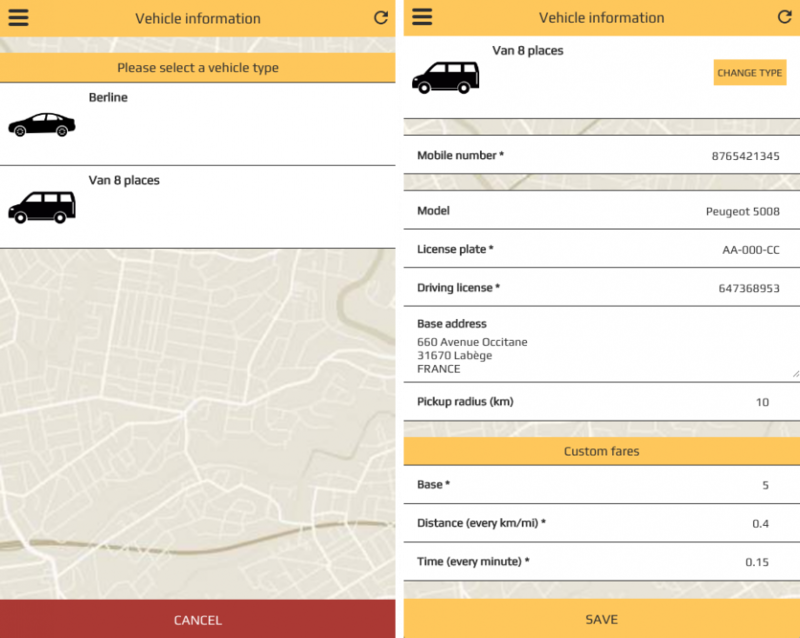 This module is provided with a Template & a Layout, these are both designed to play nicely with the CabRide feature, however the module is useable with any other Layout. 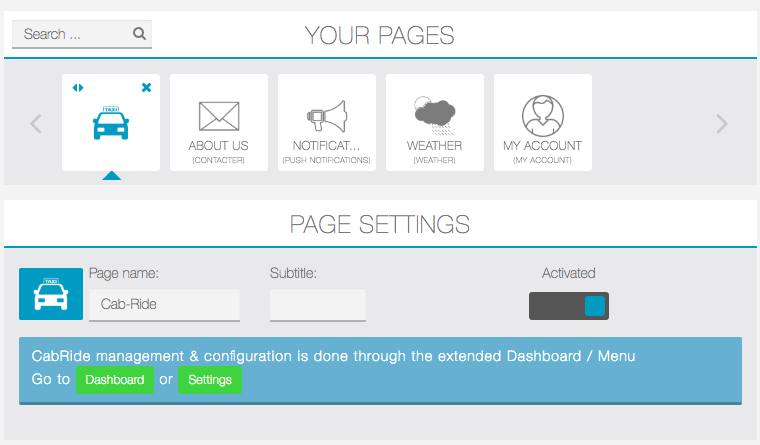 To create your api keys, follow this documentation. 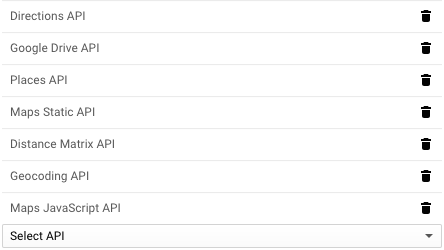 Also, remember that after the free amount offered by google for your API usage, requests to the API will be charged by google. You can find more information about the pricing here. › Your Siberian must work in https. › Port 37000 (TCP) must be open on your server. › Your cron scheduler must be working. 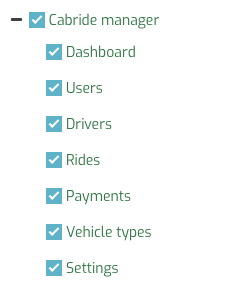 If you don’t see “Cabride Web socket”, it means you had an issue while installing the module. If you don’t see “Running”, you may have an issue with your SSL certificates. In both case, please contact the support and we will help you. 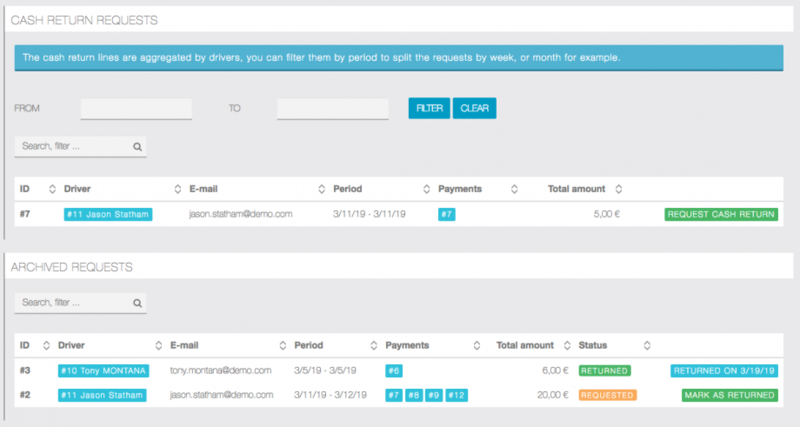 For instance, you will be able to create a role allowed to accept drivers registrations requests while not allowed to access the payments page. Currency An extensive list of all the currencies supported by Stripe. 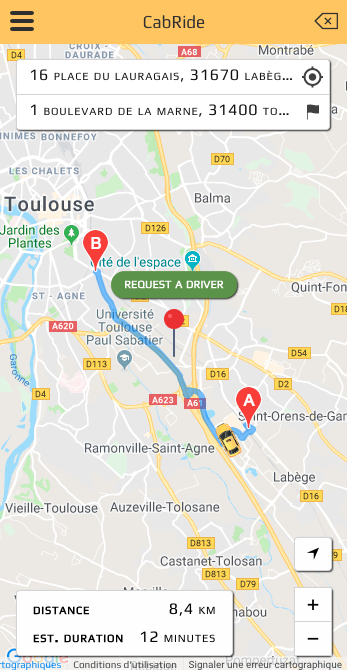 Distance unit Kilometers or Miles. Search timeout Defines the search request timeout, after what a request will expire if no driver answered. 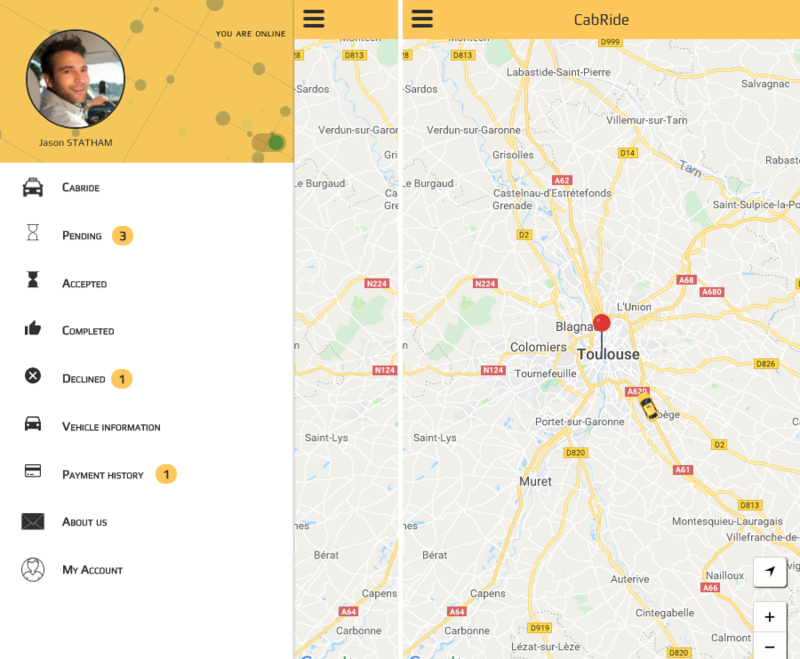 Search radius Defines the search radius around the passenger location. Accepted payments Accepts either Cash, Credit card or Both. 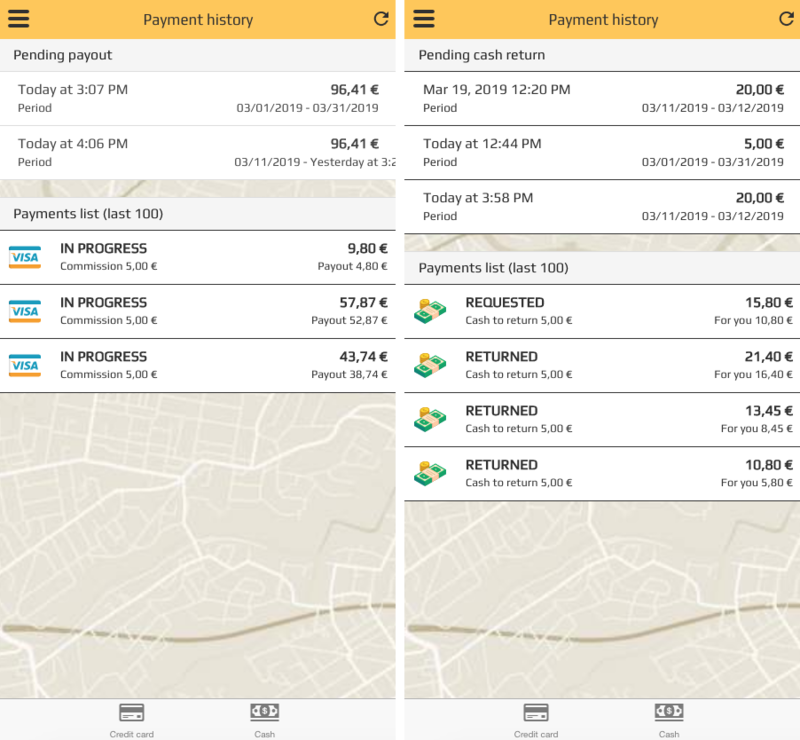 Payment provider For credit card payments, the module comes with Stripe, more Payment gateways can be available on request & study. 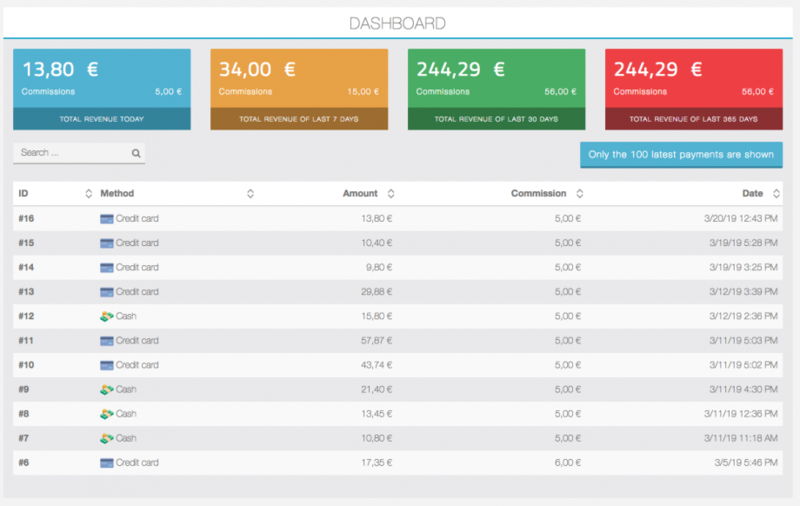 Commission type If your income comes from commissions, you can enable it, Fixed amount, Percentage or Disabled. Commission If the commission is enabled, you will defined the amount here. 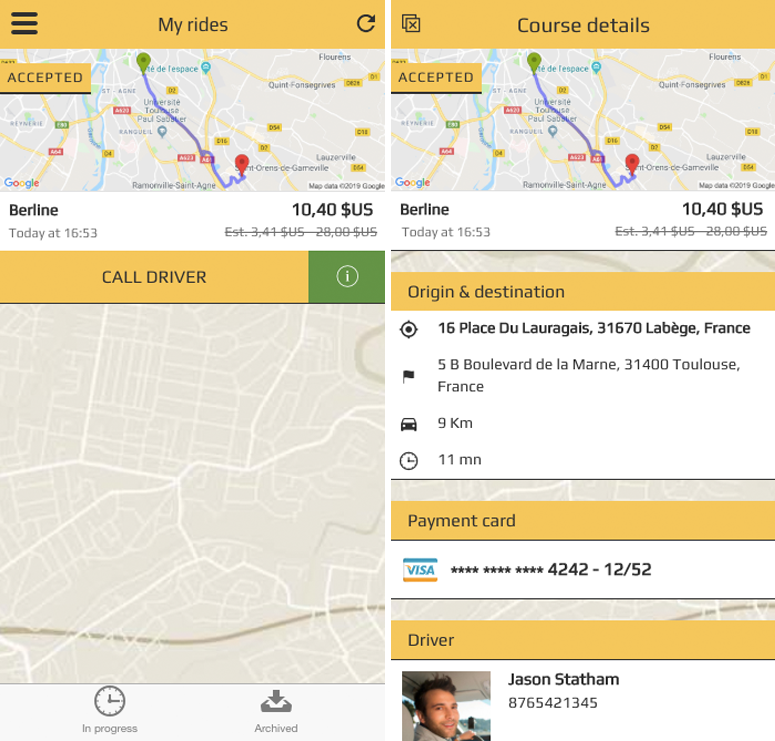 Course mode You can choose to fix the price by vehicle type or let each driver defines his fares. 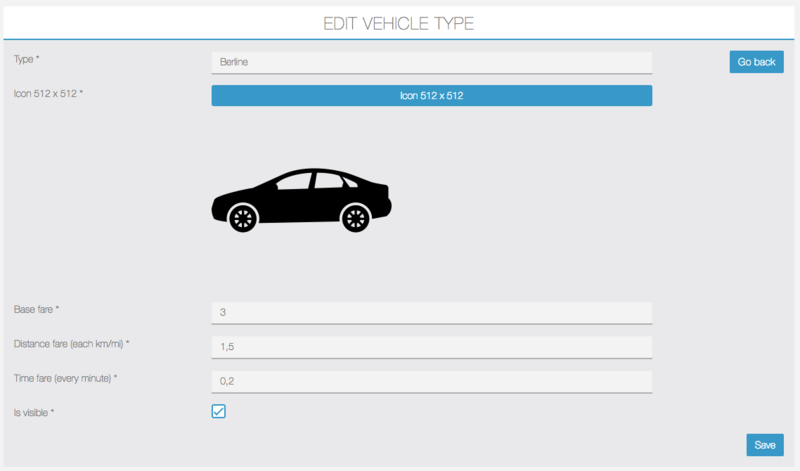 › Vehicle types require at least a Name & an Illustration. 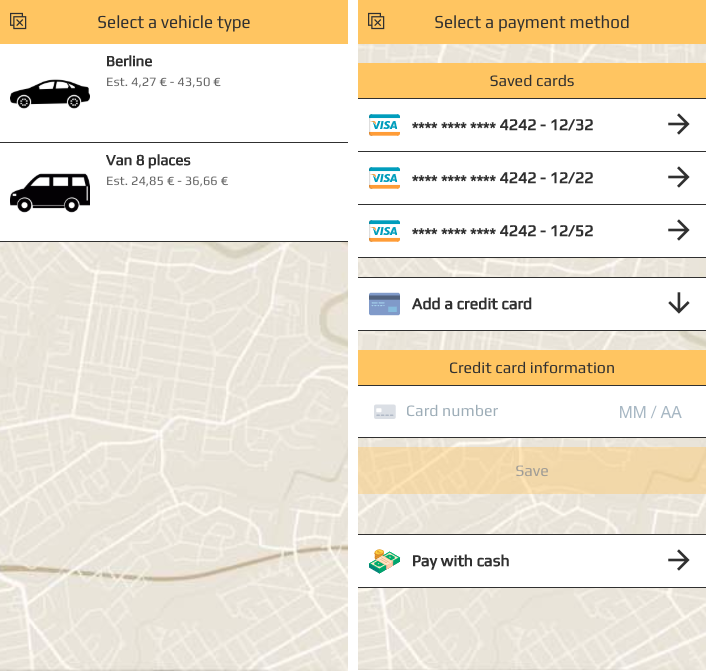 › Fares are required only when Pricing mode is set to Fixed by vehicle type. 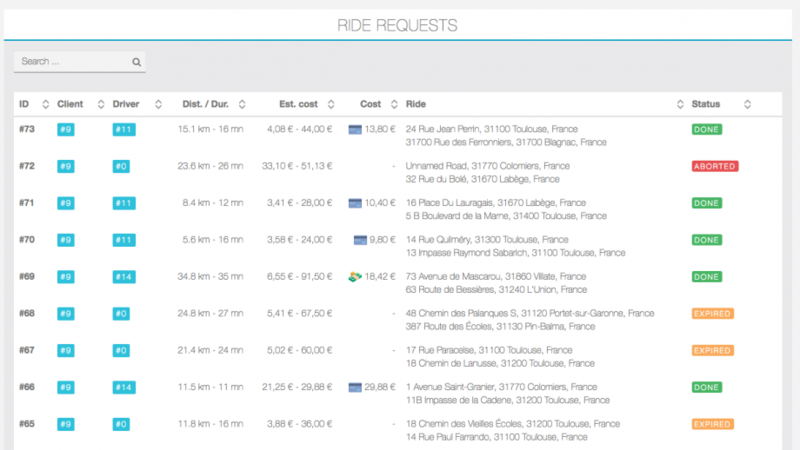 The page CabRide > Rides offers an overview of all the rides & requests, with their information and statuses. 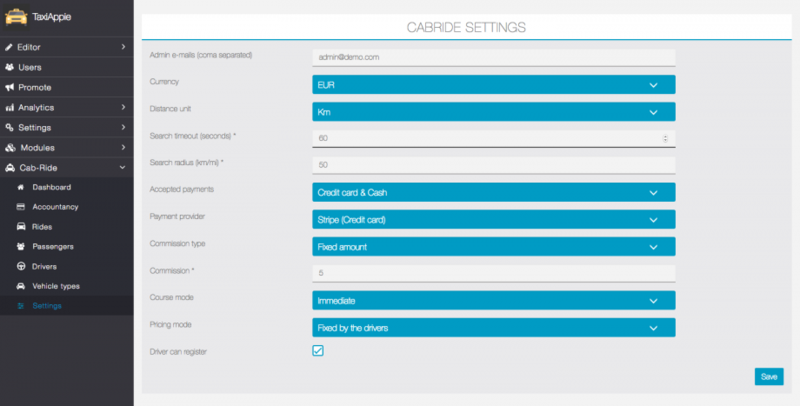 On the other hand, for payments done via credit card you’ll be able to create individual or bulk payout requests. 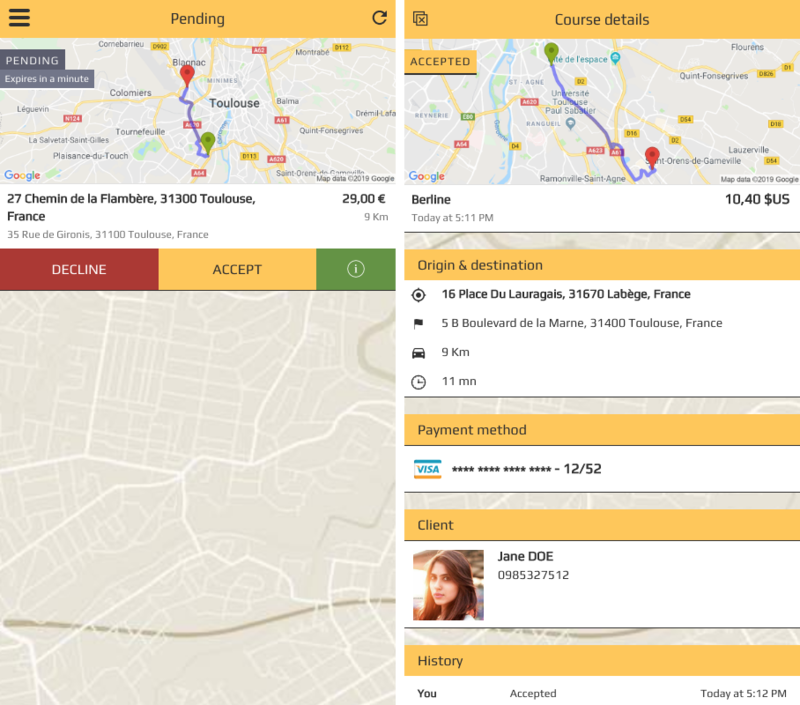 › The action will create a pending payout for the given driver payouts. 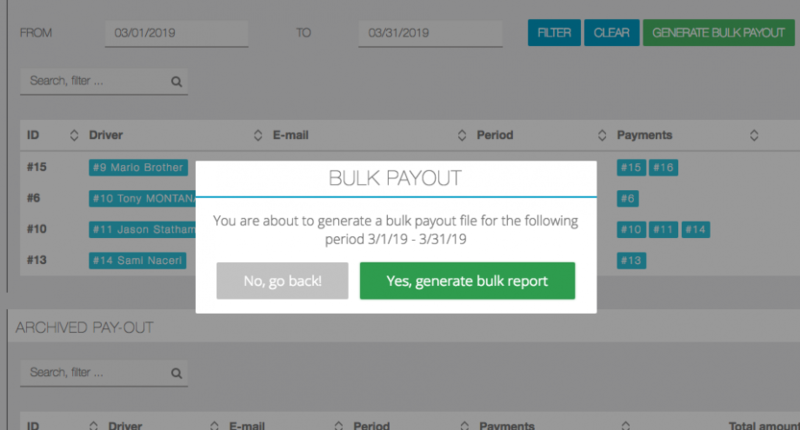 The action will create a bulk csv export for all the pending payouts (filtered by time period, or not). 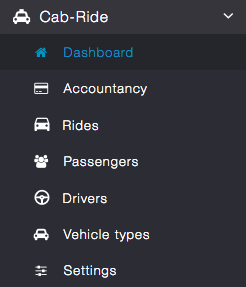 When opening the App for the first time, passengers and/or drivers will be asked to select a role. 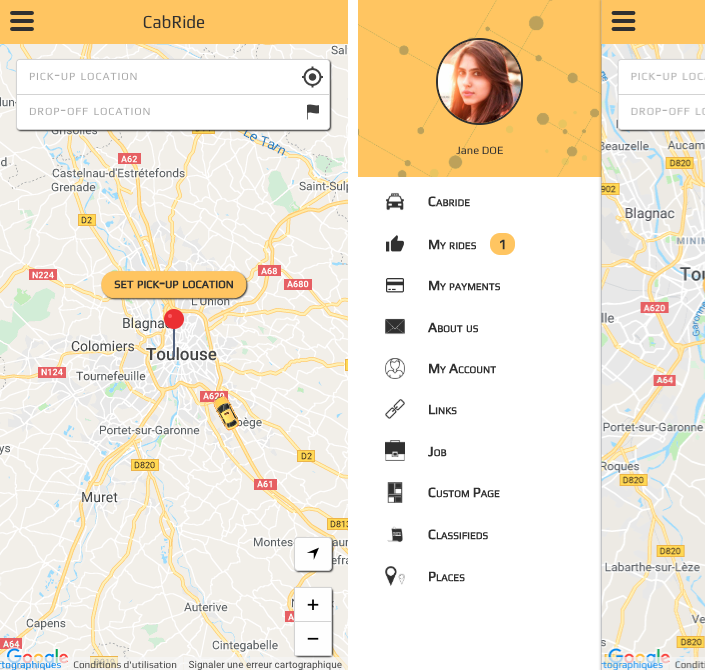 The passenger homepage with a nearby online driver (yellow cab on the map). 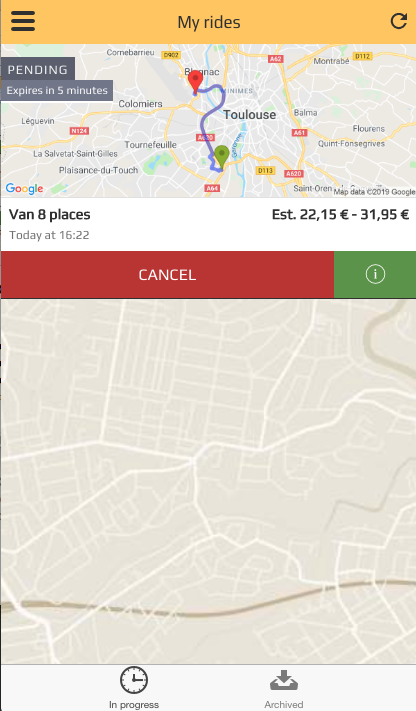 › When the search is successful, the passenger will have to choose between the available vehicle types, If multiple drivers are available, a price range is shown to inform the passenger. 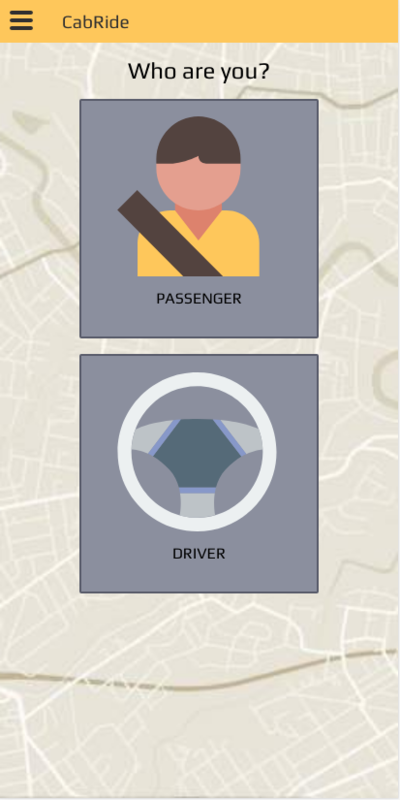 When only one driver is available for a vehicle type, a single cost is shown. 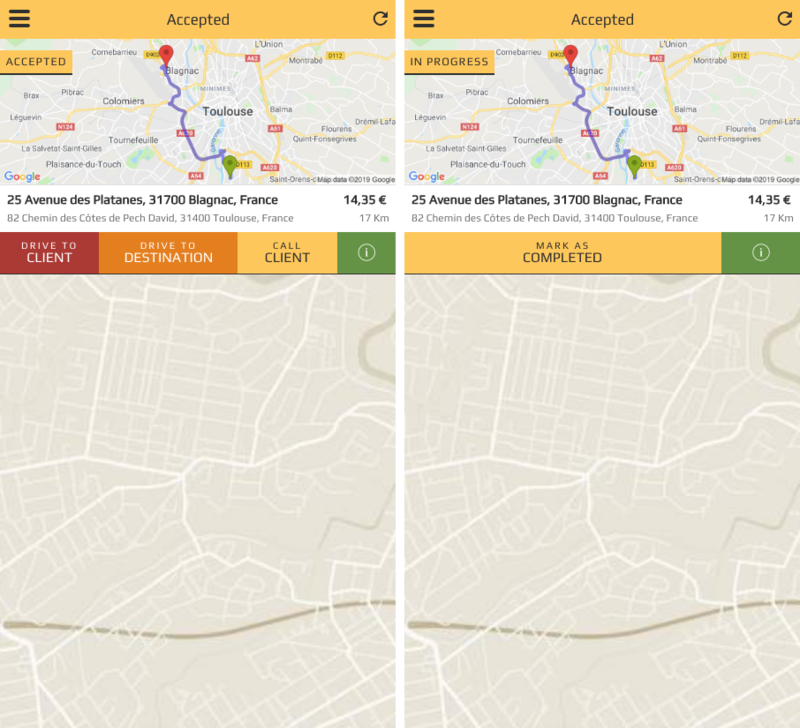 Driver nav & waiting homepage, next to each section, a counter shows how many requests or actions are yet active.